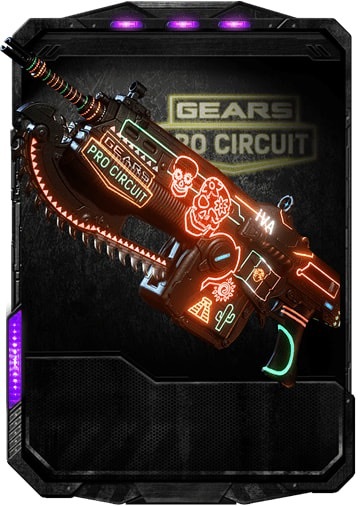 Hi there, I was the Mexico event 2019, Saturday, however I claimed however it came out an error with the team glow gnasher. So Yesterday 2 February when i claimed the team glow gnasher at https://live.gearsofwar.com/ it says error can you guys help me out with this i dont know if im gonna get it or not? Please i dont want to have to look that i dont have both. Season 2 Mexico Lancer. I know I claimed it, but it does not show up in my customization/inventory. I claimed the Mexico City season 2 lancer but it has not shown in my inventory. Hi there, I claimed the team glow lancer but it’s not showing at the moment. Every other skin I claimed is. Hi, I was watching the mexico event and the team glow shotgun came up with claim reward and would not let me press it, I received the lancer fine please can this be looked at as I was in the stream all night. I am missing the canda boomshot from 2/8/19. Hello I watched last Friday for the Canada Hammer burst. I watched the entire pre stream about the 2v2 gnashers on foundation. It never let me claim it and it said I completed the quest. You can go back and look at my account I really wanted the Hammer burst. Thanks for all the support you do for the game.